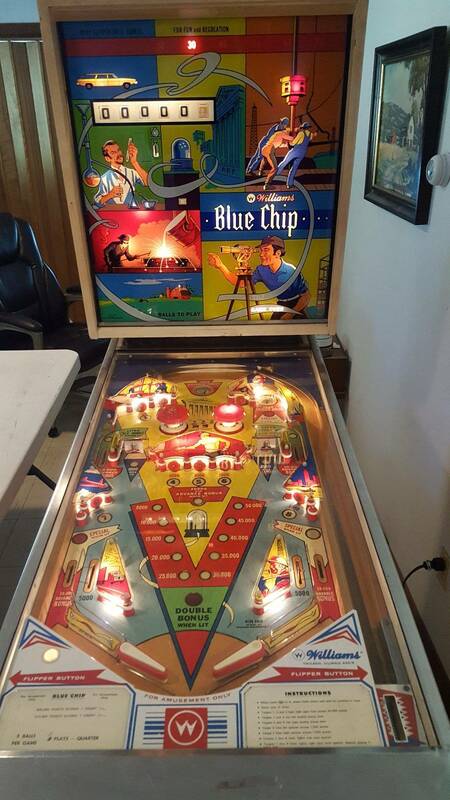 I have bought my first pinball (1976 Williams Blue Chip) which I plan to just get running and play, not to do full tear down and restore. 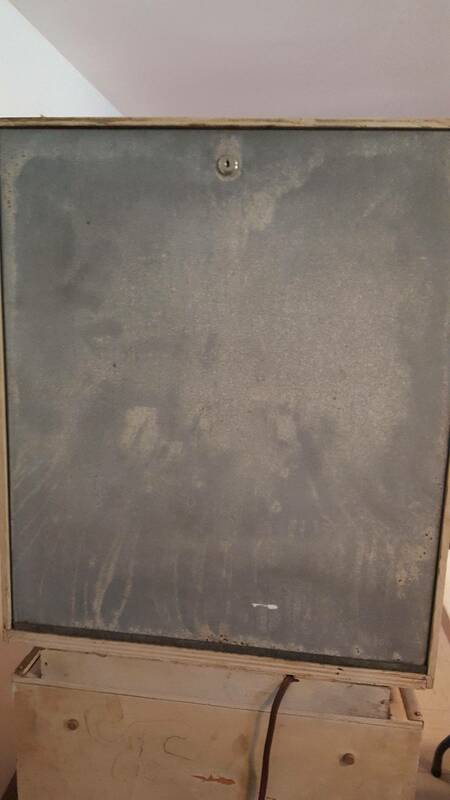 The metal back door to the head has surface oxidation, few specks of rust but is solid. 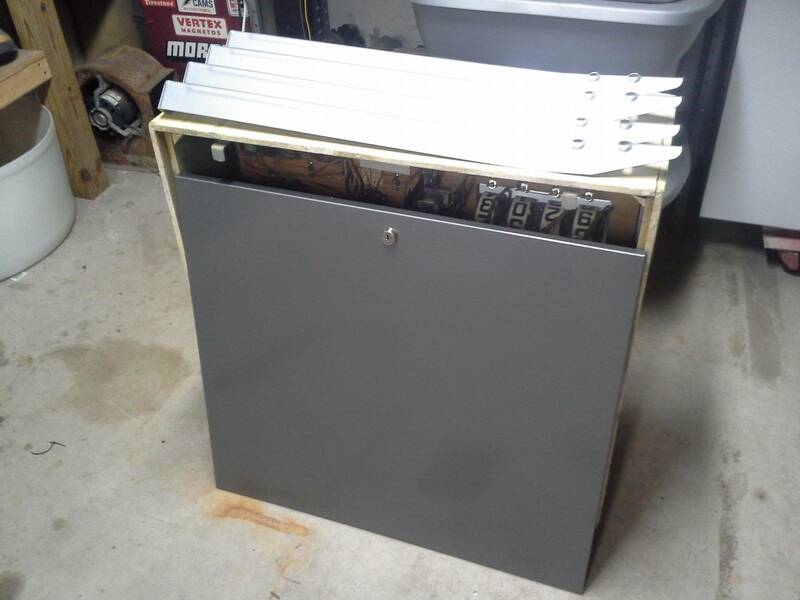 Would I anger the pinball gods if I gave it a coat of paint or sealer to prevent further corrosion? Thanks! Huh? Push it up against a wall and play the game. That's how pretty much all EM doors look. I'd be more concerned over the faded ink on your dummy score reel. I've run an orbital sander with fine grit sandpaper on those and they clean up really nicely. The faded dummy reel has stickers available at Inkochnito's site. Perhaps just store it as a 'blue chip' investment. To give you some perspective, that door looks pretty normal for an original machine of this age. It would look out of place if you make it look nice considering the rear cabinet condition. 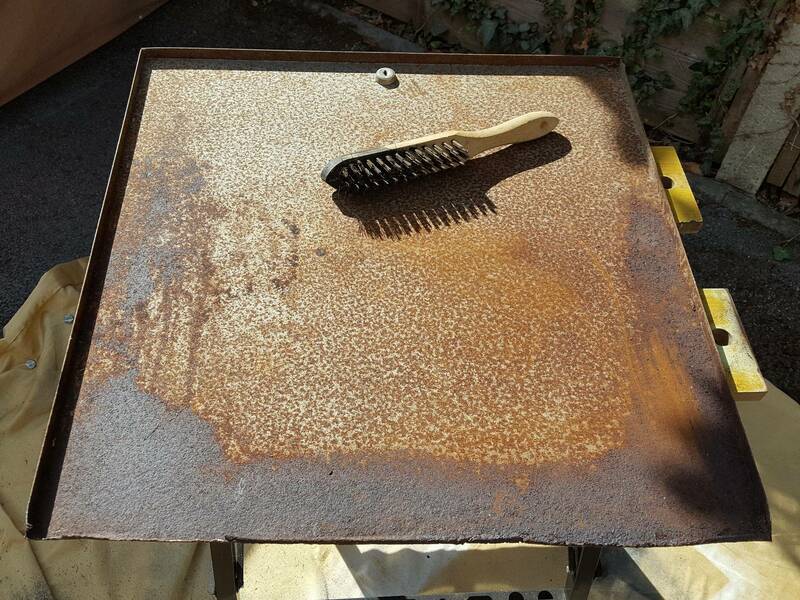 Putting paint on top of rust will not stop it from rusting. The reaction will continue underneath the paint. You could try some steel wool or various other de-rusting techniques. 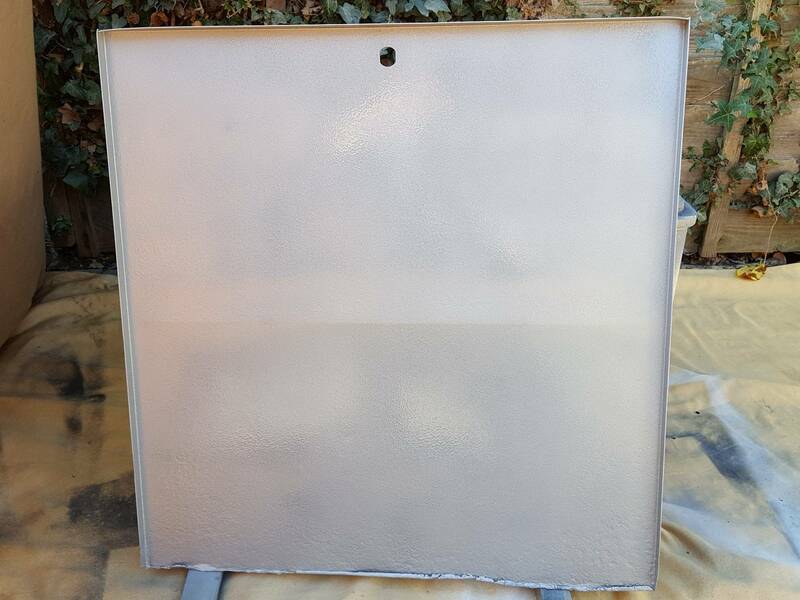 I think most collectors would cringe a bit to see that door with paint on it. Nobody paints it. It's supposed to be bare metal. I'm generally just relieved that the back door is still there and not lost to wherever they all seem to go. I think this is a natural thing to want to do when you get your first pinball. You're excited and want to fix it up. Certainly nothing wrong with detailing the back door but most eventually learn your efforts are better spent focused on other areas. Like the dummy reel as mentioned. It does look like a nice clean example. Probably doesn't need too much but you can always find little things to improve upon if you want to. Thanks for all the input. I think after some more cleaning up I am gonna leave it bare. Makes sense that after 40+ years it'll continue to do it's job. I guess I was kinda focused on it because it was the cruddiest piece of the unit. I'll focus on getting all the layers of nicotine off the cab and box then seal up the back glass while it's still looking good. I have a repair guy scheduled to come out to get it playing, it's real close and my plan is to grab the next machine that needs work that crosses my path and basically learn how to work on them. I plan on keeping Blue Chip for it's sentimental value and don't dare chance blowing it up. A little fine steel wool and WD-40 will clean it up and help protect it. Keep the game in a dry environment, and it'll be good for a long time. Nice machine! Wish I would have grabbed one that recently came up for sale near me. It looks great. Leave it alone. I clean them up, making sure any rust is off and the doors is flat. I then paintthe door. It comes out great. And yes no one can see the doors to the head, but I know they aren’t perfect. Same thought as cleaning the inside of the cabinet. It looks great! That's exactly the way I would do it. I like stuff original but just painted mine as it had a spot of rust, used abrasive wheel back to metal, etched then hammer silver spray. I'm quite pleased with the result as I thought it was beyond restore, time will tell if it holds up. Yeah, when they're that bad, you gotta repaint them.